CCP announced an idea they are not yet committed to: Skill Grafting. Peeling skillpoints (SP) off one character and packaging the “stem cells” to be consumed by another character, at a price set by market forces. Are we the new Drifters, digging up the corpses of old alts to recoup their knowledge and package them for new bodies? If so, great. It’s all very vampiric and sci-fi, very EVE. 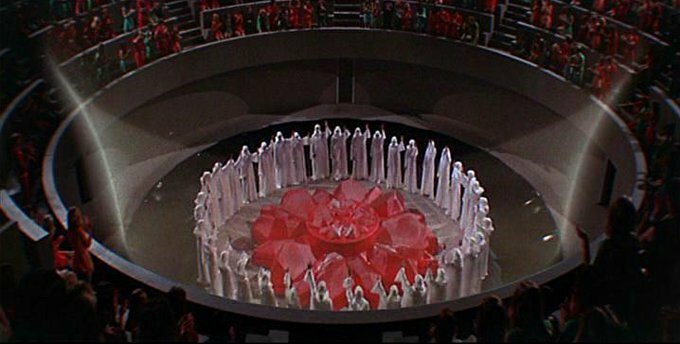 I can’t help but recall the movie Logan’s Run, where everyone over 30 is discarded in a renewal ceremony involving a carousel (see image below). Essentially this concept is an upgrade and a co-opting of the current Character Bazaar found in the EVE forums and third-party websites (EveBoard, EveCharacterSearch). They serve as a sanctioned marketplaces for EVE characters, but the process is intimidating and some players do not now how to buy and sell characters. CCP wants to change that. If this goes through, a player may acquire (through Aurum) a “Transneural Skill Packet” which is a container for skillpoints. You must drain off 500,000 skillpoints from your character, presumably from skills you do not want. That creates a 500,000 skillpoint packaged commodity that you can use or sell to other players. Consuming a skill packet gives you the skillpoints to allocate as desired. However, this has diminishing returns for more experienced players. The higher the consuming character’s current skillpoint total, the lower the effectiveness of the packets, scaling until anyone over 80 Million SP gain 1/10th the SP value of the packet. Get players into the action faster by allowing them a way to buy into skills faster, without having to wait. Skills open up gameplay opportunities. Turn unwanted skillpoints into ISK. To further close RMT opportunities through trading characters. Another step towards Aurum becoming the prime value holder. Aurum breaks down smaller allowing $2 or $5 purchases which are more appealing to some players and that will probably be the cost of each Transneural Skill Packet. Aurum also works in DUST and (likely) Valkyrie. The reactions from veteran players was swift and mostly negative with CSM after CSM disavowing the idea, and players reciting a firm but polite “please don’t do this.” Most objections center on fears of the pay2win gaming model creeping into EVE, even though ‘winning EVE’ is a vague, amorphous goal. Unlike other games, EVE has a split grind between equipment and skills. You can grind for equipment, but skills work differently – you have to wait no matter how much ISK you possess. The waiting protects the value of skills. CCP opted to make the gameplay wide, not deep. The model was supposed to help new players compete by specializing first, then spreading their wings to other parts of the game. Impatient players get around this by buying alts and using multiple accounts. Ultimately the Character Bazaar was created to decrease the temptation of players to buy and sell characters for real dollars. This model also protects the investment of time and money by loyal customers (veteran players) who have paid their subscriptions (or had others pay through PLEX) month after month. As lives get busy over years of playing, skillpoints continue to accrue, making EVE a good investment for long term players. They were not being out run by players with more time. This is why play2win is so stirring to EVE players. It is seen as CCP pushing them aside to make more money. Even if paying for the opportunity to shift skills around is not hurting them in any way, should they choose not to participate, it is still seen as a net loss because others will gain an advantage. On the other hand, the skill sink (loss of skillpoints not redeemed at full value) may make their position that much stronger. The benefits will be aimed towards new and medium players who can essentially get Mulligans if they skill up the wrong trees, or anyone that wants to try something new. They get a wild card to play different parts of the game without having to wait. This may have the side effect of delivering more people into null-sec, faster. This also helps players that diversify their abilities through the use alts. Years ago, the selling point “focused skills” on a character was a real thing. Forums traded advice on how to hone perfect alts, without wasting time. But the fear of clone costs played into that. As those are gone, so is the value of being focused. Despite that, the costs of crafting an instant focused alt will be minimal and those players have deep pockets with plenty of unsubbed alts to pillage. Criminals wanting to create an army of Talos alts for ganking may find this useful, but it depends on the costs. Then again, they don’t care about costs. Their rewards are measured in tears harvested by agony inflicted. 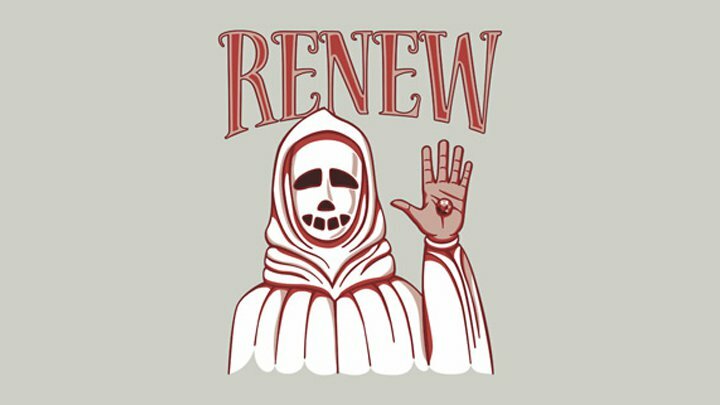 Spies, thieves, awoxers can “renew at the carousel” by draining their skills into another clone, allowing them to be biomassed and forgotten. EVE is less real when players can slip away from accountability, but that is a tall order for an internet game in the first place. One of the driving forces in EVE players is optimization. Name, Skills and Corporate History are permanent markers and mistakes made in these areas follow your character forever. This makes it important to get those right from the beginning. Countless players scrapped 3 month old characters to start over to get it right; right name, right skills, and right corporations. The care taken to get the skills right has lost value. Remember alarm clocking to change a skill? Remember the urgency of slotting a level 5 skill before patches. All that effort is valueless now. Some players may see more pressure from their leadership to get them to fly what the alliance wants. Finally, FCs will get enough logi in fleet! The pressure in general to finely hone a main character may force choices that players would rather not make. Removing old skills is like removing memories as well as future opportunities. Finally, character farmers like this guy: Selling 50 Dread and Carrier alts will be out of business. All the alts were born on the same date so this was someone using the unlimited skill queue to farm. This market will lose some value, but high-end, specialized characters will still be valuable, even as starting points for improvement. We might see more movement of strip-worthy characters sold for their parts (skills). It is all going to depend on the prices, but ultra-wealthy players may keep the price artificially high for some time, icing out the value for new players that want to get ahead. The proposed update to the Character Bazaar is a bold move from CCP, but it comes with some sadness about EVE’s changing gameplay. New players deserve every advantage to get involved and make their mark as fast as possible. This will definitely help keep their interest up, and no one would complain about more targets in combat zones. That said, the game we started was rough and hazardous. It challenged us to aggressively learn to do it right. Personally, I gently rocked my infant son with one arm as the other turned the pages of Halada’s Guide to Mining. Maybe EVE is too real and life changes. The young come with advantages we built for them by doing things the hard way, and now we should do the right thing and age-out. Thing is, some of want to stick around. I in addition to my pals were found to be studying the great things found on your site and unexpectedly developed a terrible feeling I never expressed respect to you for those techniques. All of the ladies happened to be so glad to read through all of them and have now really been having fun with those things. Appreciate your getting simply helpful and also for picking this sort of fantastic ideas most people are really desperate to be aware of. Our honest apologies for not saying thanks to sooner. hello there and thank you for your info – I’ve certainly picked up anything new from right here. I did however expertise some technical points using this website, as I experienced to reload the site lots of times previous to I could get it to load correctly. I had been wondering if your web host is OK? Not that I’m complaining, but sluggish loading instances times will often affect your placement in google and could damage your high-quality score if ads and marketing with Adwords. Anyway I am adding this RSS to my e-mail and can look out for much more of your respective interesting content. Ensure that you update this again soon.. I will start a blog. In addition to many various other hopeful’s, I wish to eventually make money off it. I discovered a lot of websites do not allow you to generate income of google advertisement feeling as well as points like that. What are some websites I can start my blog on that particular will allow this given that it appears to be the most successful method to generate income off a blog?. I simply wished to thank you so much again. I am not sure what I might have achieved in the absence of these techniques contributed by you directly on my subject. It had become a real challenging problem in my opinion, however , taking a look at your skilled manner you handled it took me to jump over happiness. Now i am happy for this work and then expect you comprehend what an amazing job you’re providing educating the rest via your web page. Probably you haven’t come across all of us. whoah this blog is great i really like reading your articles. Keep up the good work! You realize, lots of individuals are looking round for this information, you could help them greatly. I’m writing to let you be aware of what a exceptional discovery our child obtained reading the blog. She noticed a wide variety of details, not to mention what it’s like to have a wonderful coaching mindset to let other people without problems comprehend some problematic subject areas. You undoubtedly did more than our desires. Thank you for distributing those warm and helpful, dependable, revealing and fun guidance on the topic to Sandra. It¡¦s actually a great and useful piece of info. I am happy that you just shared this useful information with us. Please keep us up to date like this. Thank you for sharing. Great tremendous issues here. I am very happy to see your post. Thank you a lot and i’m having a look ahead to touch you. Will you kindly drop me a e-mail? certainly like your website however you have to check the spelling on several of your posts. Several of them are rife with spelling problems and I to find it very troublesome to tell the reality then again I¡¦ll surely come back again. I recently began a blog site, and also I was simply questioning just how people have advertised their blogs online to obtain more fans so you aren’t just keying to nothing out in the internet?. Oh, as well as for my blog site, I don’t truly desire my buddies to be my fans, unless they discover it by themselves. My blog site has to do with something that most of my friend’s can not really assist me with. (Digital photography is the major topic). Just how could I create blog sites or write-ups and earn money for it? I’m looking for out what the most preferred blogs are when it concerns news and sights as well as cellular phone stuff.